An industrial press manufacturer wanted to improve a press, by reducing its weight and manufacturing cost, while increasing the force on the press tools. They asked Coupland Bell consultants to consider the whole design and recommend improvements. One of the loaded parts our consultants looked at in more detail was a heavy solid beam. We chose the beam for more work, because it seemed to be too heavy and it was expensive. Our consultants could have used a hand calculation to show the beam did not need to be solid, but large forces from the ram were carried by substantial welded plates on its side web. 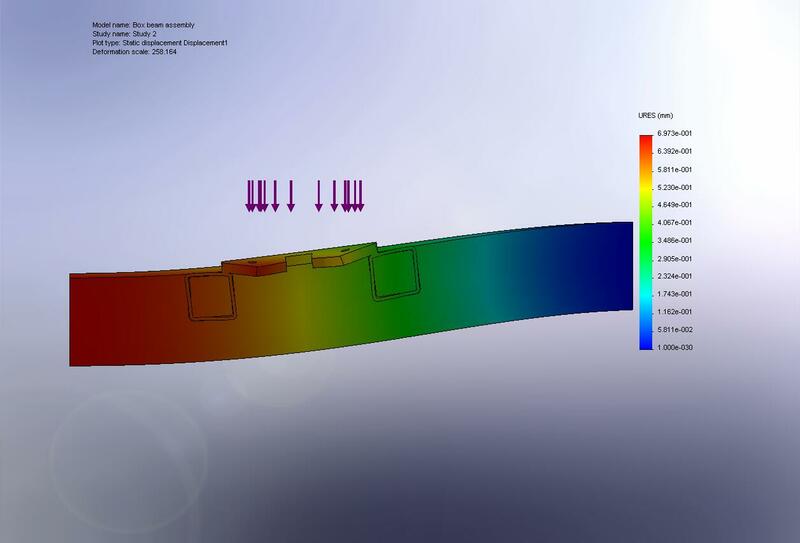 These were also welded to perpendicular box beams, making the loads asymmetrical, so our consultants built an FEA model of quarter of the assembly. 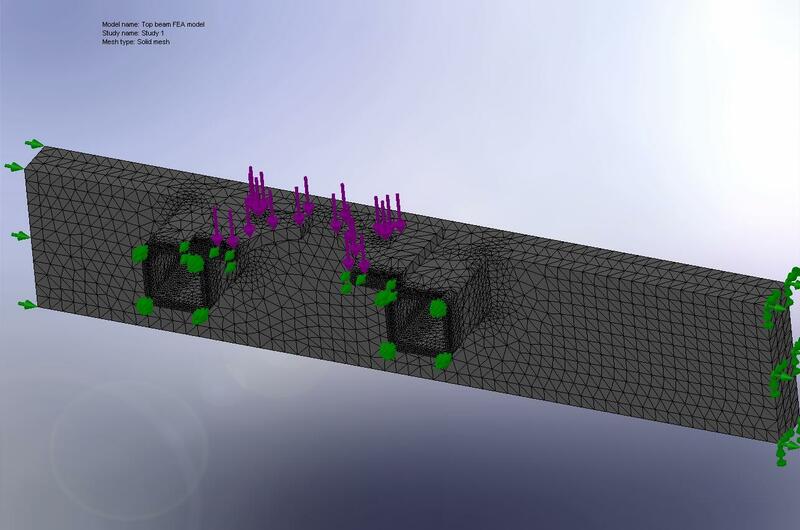 Our consultants used solid elements with symmetrical boundary conditions to represent the parts we had not modelled. 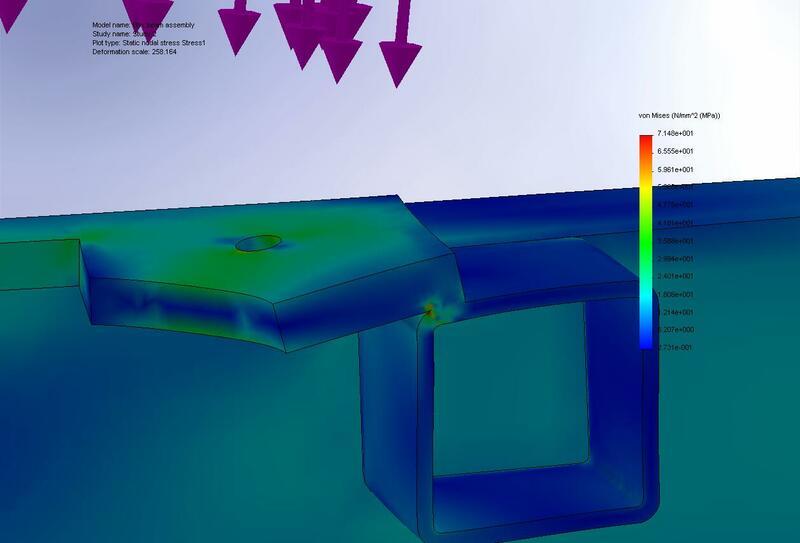 This confirmed that the stresses and deflections were low in the beam and acceptable in the plates and box beam. 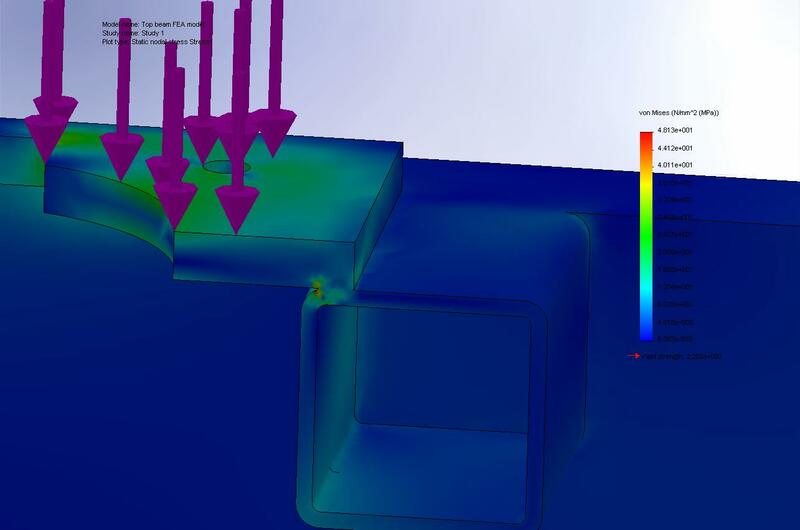 Our consultants then redesigned the beam as a box section and built a new FEA model. Our consultants used shell elements for the new beam but retained the solid elements for the plates and original box beams, where the stresses were more complicated. The new design shared the stresses more evenly and had an adequate factor of safety. This was much lighter and cheaper to make than the original. © Copyright 2016 ; Coupland Bell Ltd. | All rights reserved. 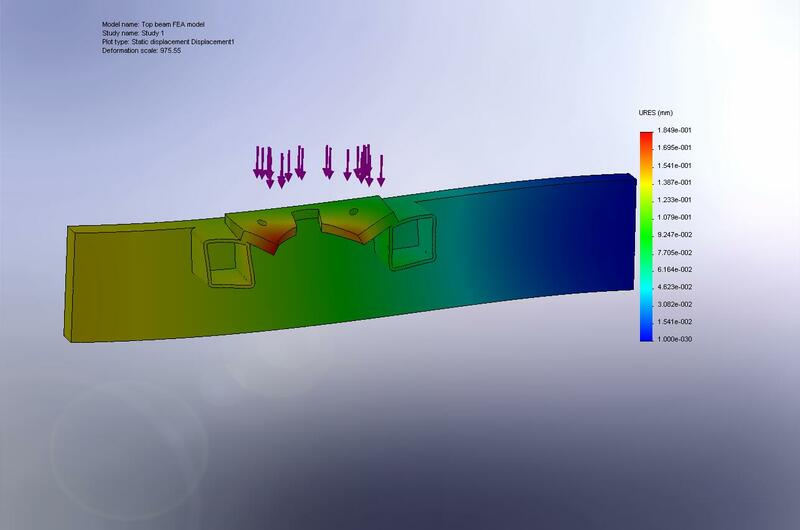 Finite element analysis case study by UK consultants Coupland Bell for reduced weight and cost of an industrial press beam.